Leanne O Connor Desmond speaks to Tom Chaplin about the pursuit of his solo career, changes in musical direction and his tour. 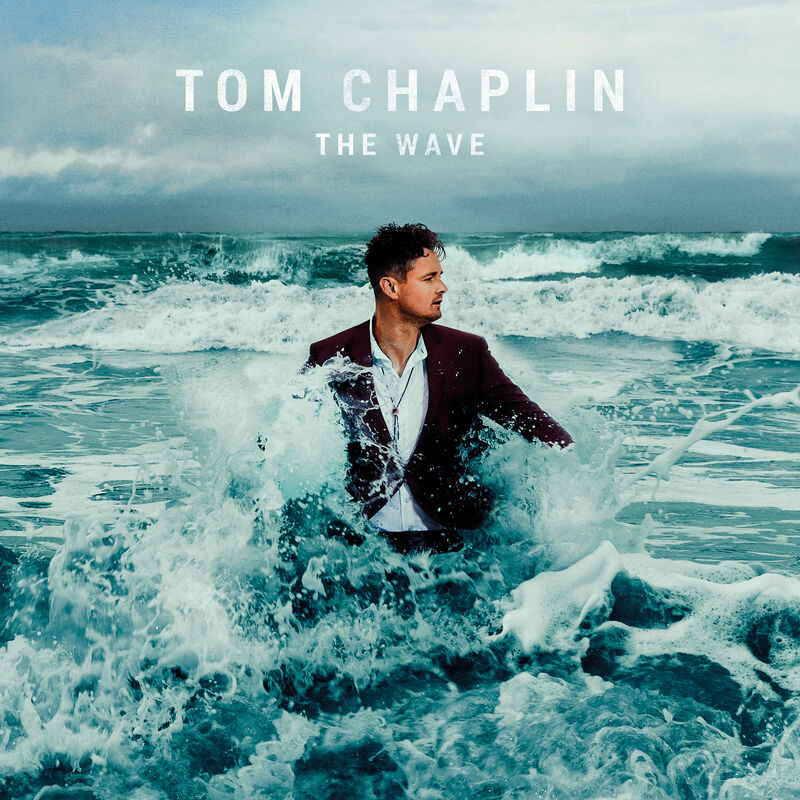 When speaking to Tom Chaplin it was clear that he was a musician who seized opportunities and for Tom, a new opportunity lies in his grasp as he now pursues his solo adventure in the music world. Previously a member of UK band Keane and now on hiatus, Tom revealed to me how different it is moving from the band environment to a solo act. “It brings great responsibility and pressure.” During his musical career with Keane, bandmate Tim was the songwriter. Whilst being a member of Keane certainly laid the foundations for his entrance to the realm of music, Tom found himself at times frustrated. He expressed his love for writing his own music and songs. He was ready, he knew, for something different and for new challenges. Tom talked to me openly about his recent solo album The Wave. He dubbed it “incredibly personal” and “a story of going from a place of very desperate addiction to finding a sense of resolution in my life.” Through the layers of sound and music, Tom intertwined a hopeful message: He hoped that by being so open and honest in his music that it might help or encourage people who are dealing with similar issues to seek support. He expressed to me how in the past his struggles with addiction came from being closed off, and how he believes that was a default setting for many people as they tried to deal with similar issues. He spoke candidly about the personal nature of this release, stating: “It was very liberating and very fascinating process to go through.” Not only is the album filled with hard-hitting lyrics and a beautiful melodic sound, it is also filled with Tom’s own experiences. The Wave is certainly a homage to the power of music. Every musician needs a band and for Tom this was no different. Having coming from Keane, a band in which Tom had dedicated over a decade of his life, the experience of assembling a band of his own was both strange and exhilarating. Tom spoke about the various artistic musicians he had met along this process stating that they had “great skill and wonderful expression.” Their talents, combined with Tom’s, brought a new level to the platform of music Tom was exploring. They rehearsed through the summer and started shows from October through to the end of the year. Tom told me excitedly how when he first finished up the shows before Christmas he was ecstatic to carry on. The new intimate interaction he found with his audience fascinated Tom and he was eager to get back to the conversations and warm, personal atmosphere. Turning the conversation to touring, Tom told how he was off to America and on to a tour in Europe in March. The final stretch in May would be in the UK and Ireland. His performances in Ireland at the Olympia and Belfast’s Ulster Hall will be his first performances on Irish soil as a solo artist. An interesting titbit Tom shared was that in the earlier days of Keane their guitarist was a Dubliner. He recalled how they played in Temple Street Bar and how the city was — and is — “very close to my heart”. He expressed his excitement at returning to the Olympia praising both its history for bands and the structure of the venue itself. “It’s a very intimate venue. I’ve had some very memorable gigs there over the years.” Tom didn’t only have kind words for the Olympia though, telling me how he couldn’t wait to immerse himself once more in the Dublin spirit. On the UK stretch of his tour, Tom is due to be joined by Ainslie Wills. He told me how they were put forward as a suggestion for the tour and stated: “As soon as I heard the songs I thought I’d love to have these guys come play.” He praised their songwriting and their fantastically dark element, reminding him, he said, of Radiohead. Speaking of tours in the UK, Tom also drew attention to his supporting act during his past October tour, Matt Maltease. He expressed how “It was just a real pleasure to go out and listen to his songs and learn them and fall in love with them over the tour.” Playing with other talented musicians, I gathered, is one of the privileges of being on tour. Tom also comically drew a comparison between touring and holidays when I asked how being away from family was. He joked about his two-year-old’s early morning rises, but said, in true fatherly fashion, that it is bittersweet in nature. He confided that “he misses her terribly” and the situation is far from ideal. In terms of future plans Tom hopes to play a few festivals over the summer. He teased that he has lots of plans including a big idea later on in the year which he couldn’t delve into just yet. In true artist fashion, he expressed how he’d be trying new ideas in terms of writing and diving more into that aspect. With a mini studio on the road there’s no doubt that he will be recording and trying new material as often as schedule allows. Tom also added that “I’m enjoying being creative, my sobriety, my good health and the fact that I’ve been given a second chance in life. I just want to wake up every day and take advantage of this life I’ve been given.” He’s certainly doing that and I’ve a feeling there’s a whole lot more about Tom’s musical styles and messages yet to be uncovered. He is definitely one to be watched.